Sales reps hate to cut bait on a deal. It’s like an admission of defeat, and for the A-type personalities that make up most salespeople that is basically impossible. So, it’s no surprise that sales pipelines often get clogged up with hopeless opportunities that simply need to go away. Below is a sales contest idea that you can use to help clean the clog. BUT, it’s not just about cleaning the pipeline: One of the best ways to prevent the build-up of junk is to ensure your sales reps are asking the hard questions. Unlike Tom Cruise, they CAN handle the truth. Before launching this contest have a quick pow-wow and ensure the sales team knows what the hard questions are. Rose-tinted glasses have no place in this competition. Need a reminder? Inc. has a post called “6 Sales Questions You’re Afraid to Ask” that offers a sample to work from. Give 10 points for each of those slow opportunities that moves one stage forward. 1. Identify your overdue opportunities, or any opportunity with a close date in the past. Give 10 points for each of those overdue opportunities that moves forward a step in the sales process (and gets an updated close date as a result). Plan on running the contest for between one and two weeks; this will allow your team to get things done, without making the competition so long that participant engagement fades. Choose a fun sales incentive as a bonus for the winner, such as a Mr. Clean bobblehead trophy that can stand on their desk. Then, when you do have a cleaner pipeline, you can always give some of these sales contest ideas a shot. Need to clean you pipeline? 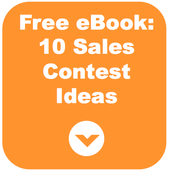 This sales contest idea will help.